My LinkedIn profile is number one! I’m very excited about these results. In the past three weeks, I have been working to increase my presence on the web. 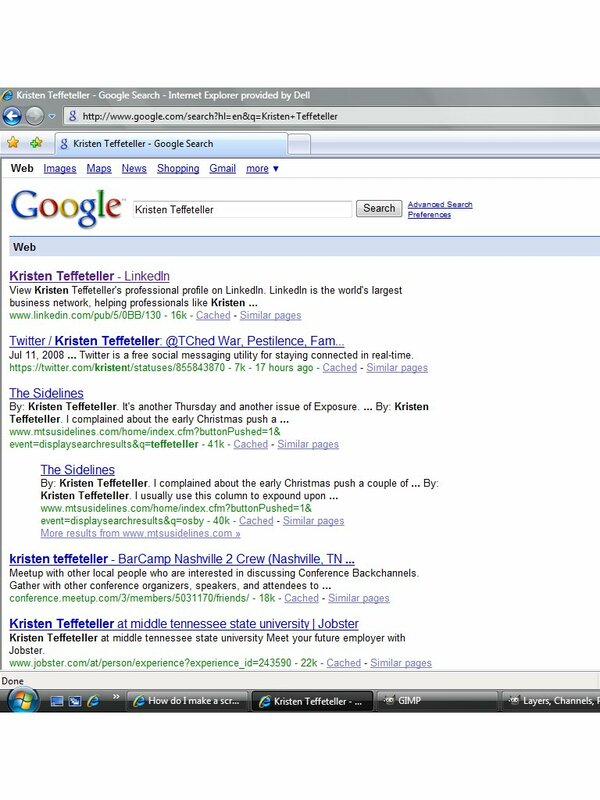 The first step was to update my LinkedIn profile following Guy Kawasaki’s post, LinkedIn Profile Extreme Makeover I’ve found old [and I mean old] websites with outdated information, such as the webpage I made for Orientation to Computer Science while at MTSU. There is probably a small chance one of the several webpages I made as a pre-teen/teenager are floating out there, back when AOL was ‘awesome’ and animated GIF’s were an annoying novelty. I had the animated lava lamp on one site. Enough reminiscing; this is just happy news for me. I will work my online portfolio today but I just wanted to show “my” Google search.